One of the characteristics of an aging face is the development of wrinkled, hooded skin, often with prominent eye bags. The appearance of these age-related changes can occur earlier in some patients who have a family history of the problem. 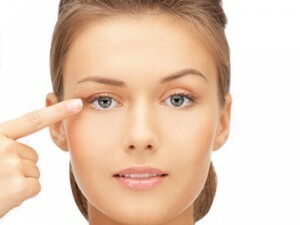 A blepharoplasty or eyelid rejuvenation surgery is a surgical procedure performed on the eyelids and surrounding eyelid skin designed to produce a youthful and more rejuvenated appearance. It is possible to treat both the upper and lower eyelids, either separately or at the same time, with this type of surgery. The surgical procedures differ for each of the eyelids and the procedure is tailored to address the individual’s problem. Patients with excess skin and lower lid “bags” or those with hooded upper eyelids are usually good candidates for a blepharoplasty. There are some patients with certain conditions including thyroid disease who are not good candidates for this type of eyelid surgery.